Québec Québec U-Pick farms: Find a pick your own farm near you in Québec for fruit, vegetables, pumpkins, organic foods,local produce and more! Looking for a local, pick-your-own farm in Québec? 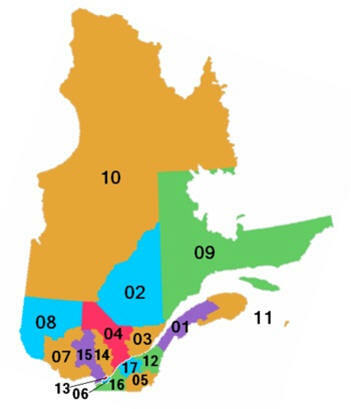 Scroll down this page and you will see the U-Pick farms in Québec, sorted by county. Those that offer organic or sustainably grown produce are identified by the words "organic" and/or "sustainable" in Green, next to their name (see "What does Organic mean?"). The U-pick crops they offer follow the name of the farm. To search the page for a specific crop, use Ctrl-F (or on an ipad or Mac, use their "search on this page" function) If they have a website, the name will be in blue and underlined; click on it and it will open their website. If you find anything outdated or inaccurate, see the customer and farmer menus (as appropriate) at the top menu bar to submit updates and corrections and help me keep each current! 190 Rang Du Chenal Tardif, Pierreville, QC J0G 1J0. Phone: 450-568-5200. Email: [email protected]. Open: Click here for current open hours, days and dates. Directions: Click here for a map and directions. Payment: Cash, only. Ferme Germain Desmarais is a family business founded 60 years ago that specializes in the cultivation of fruits, vegetables and garden plants. We offer potatoes, tomatoes, pumpkins,etc. We also provide our customers the opportunity to pick their own strawberries and blueberries. 649 Chemin Principal, Saint-Joseph-du-Lac, Quebec, J0N 1M0. Phone: (450) 623-4888. Fax: (450) 472-1287. Email: [email protected]. Open: call or see their website. Directions: From Highways 15 or 13: Take Highway 640 West and get off at Exit 2 (St-Joseph-du-Lac). Make a left turn at the intersection of Chemin Principal. Go on for about 600 metres. You will see Verger Lacroix on your right. a family apple orchard that combines fun, learning and delicious treats! For over 20 years, four generations of the Lacroix family have been devoted to apple growing and worked hard at Verger Lacroix to produce the best apples in Saint-Joseph-du-Lac. In 1978, Verger Lacroix became a U-pick apple orchard. Verger Lacroix has ciders for all tastes. From sparkling to ice ciders, and all varieties in between. 1555 Coteau des Hetres, St-Andre-d'Argenteui, Quebec J0V 1X0. Phone: 450-562-0104. Email: [email protected]. Offers Open-pollinated seeds, Heritage varieties, Bedding plants, Farm Kiosk, Greenhouse vegetables, U-Pick berries, eggs, honey, jams, conserves and fresh bread, CSA Baskets, Workshops, Garlic festival. 2340 Brooks Road, Franklin Centre, QC J0S 1E0. Phone: 450-827-1165. Directions: Just east of the village of Franklin Centre on Route 202 and up the steep hill from the cemetery. We are open July, August, September, October, November. Our hours are: Groups by reservation. Lodi and Vista Bella last week of July; Jersey Mac and Paula Red mid-August; Macintosh and Cortland in September; and Spartan and Empire in October. Juice apples and ice cider wine apples in November and December. Hiking trails, photography workshops, panoramic view of Montreal and the Chateauguay Valley, maple syrup in the spring, cross country skiing in the winter, firewood for sale, hay wagon rides and press your own fresh apple cider. NOTE: The farm has new owners, so hours may change! 2565 Perrot, Nd Île Perrot, QC J7v8p5. Phone: 514-453-1396. Email: [email protected]. Open: From 9 to 6 everyday. Directions: Click here for a map and directions. Payment: Cash, Debit cards, Visa/MasterCard. 2495 Boul Perrot, Notre-dame-de-l'ile-perrot, J7V 8P4. Phone: 514-453-1510. Fax: 514-453-1062. Email: [email protected]. Open: 7 days a week 10:00 am to 4:00. Picking updates: Click here for picking updates. Directions: Click here for a map and directions. All dates are approximate; Strawberries June 28 to July 5 Blueberries July 15 pm to August 15 Raspberries July 15 pm to August 15 Apples August 15 pm to October 31 Pumpkins September 15 pm to October 31 Squash September 15 pm to October 31 Christmas Trees November 28 to December 24. Quinn Farms uses Integrated Pest Management procedures to reduce the use of pesticides in their crops. Payment: Cash, Debit cards, Visa/MasterCard. Click here for our Facebook page. September: APPLE month Pick-your-own Apples, Educational tours & classes: plant family ride (Botany) Corn maize and mini maize Freeze your apple juice! October: Pumpkin month Fall Harvest: more apples squash and pumpkins! STOCK up for the winter! 1150 Route 209, Franklin Centre, NA J0S 1E0. Phone: 514-946-3414. Open: Seasonal - call ahead for apple varieties ready.. Directions: See their website for directions. Payment: Cash, only.. Certified organic apples and pears, ice cider. Beautiful location on top of a hill, with great views. A tower/fort constructed on highest point for 360 degrees view of region. Play area for children. Ice cider (like ice wine but made from apples) available for tasting/sale on site. A visitor writes on June 18, 2014: "Love this place, very friendly. Delicious apples (limited availability of pears so I haven't tasted them yet)"
A visitor writes on August 30, 2018: "Very informative and educational, inspirational about organic and permaculture methods." 2066 Brooks Road, Franklin, QC j0s1e. Phone: 450-827-2019. Email us at: [email protected]. Directions: From Montreal take the 15 south to the exit of Hemmingford (Parc Safari) take the 202 west towards Franklin. You will see our sign on the corner of Brooks Road. From the States take the Churubusco Borders turn on Covey Hill rd to Montee Covey Hill to Brooks rd and from Vaudreuil-Valleyfield take the 201 south to the 202 turn west until Brooks rd . We are open September, October. Our hours are: The days we are open, Thursday, Friday, Saturday and Sunday from 10am to 6 pm, the rest of the week on appointment. We are open from first weekend of September to last weekend of October for picking of apples and pumpkin. Payment: Cash, only. You can pick your apples while observing the magnificent view of the Chateauguay Valley the mountains of Rigaud, Oka ,Lake of Two mountains and Montreal. We have a trail for a walk i n the forest and after you can relax in our picnic area while tasting our bread cook in the outdoor oven made out of clay. 2291 Boul. Perrot Notre Dame de l'ILe Perrot, Notre Dame De L'ile Perrot, QC J7V 8P4. Phone: 514-453-5379. Email: [email protected]. Open: From August 1st to mid November weekdays: 1 to 5 weekend: 9 to 5. Click here for current open hours, days and dates. Picking updates: Click here for picking updates. Directions: Click here for a map and directions. Horror maze October 26 Thursday, and 27th 2012. Payment: Cash, Debit cards. Click here for our Facebook page. 330, Rang Des Vingt-cinq Est, Saint-bruno-de-montarville, QU J3V 4P6. Phone: 450-653-8375. Email: [email protected]. Open: Every day except Monday, from 9 am to 5 pm; from labour day to Canadian thanksgiving. Directions: Click here for a map and directions. We minimize use of pesticides and other chemicals. Payment: Cash, only. Quebec national park. Fabulous site for hiking/biking. 1639 Route 202, Franklin Centre, QC JOS 1E0. Phone: 450-827-2748. Fax: 450-827-2624. Email: [email protected]. 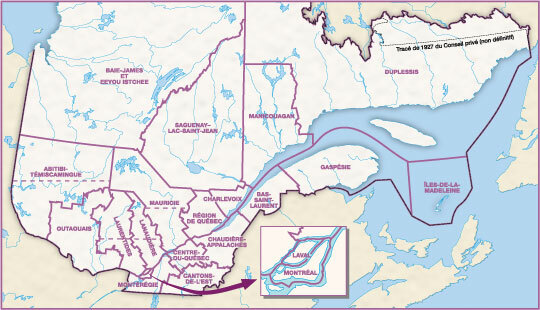 Directions: Montreal from Mercier Bridge--take the 138 to Ormstown to the 201 south to the 202, then west to Franklin, 1st farm past the church. Or--Valleyfield across the lift bridge to the 201 to St. Antoine Abbe to the 202 to Franklin, 1st farm past the church on the 202. Or from Parc Saffari in Hemmingford, west on the 202 to Franklin, 1st farm after the church! Or from the U.S.A. from Route 11,to Churubusco customs on Route 209 to Franklin at Route 202 turn left ,we're the 1st farm past the church. Looking forward to seeing you!!!! Click here for a map and directions. Crops are usually available in . Open: All year by reservation and September and October 7 days a week 10 to 6p.m. Apple Picking starting around mid August. Pears and plums shortly thereafter. Pumpkins in late October and Christmas trees from beginning of December. Flowers by the box from mid May to approximately June 20th. Shrubs and ornamental trees by order in Feb. and Mar. Everyone welcome, Hot and Cold Buffets for groups of 20+ Music Nights every third [email protected] from May to Oct. Call for directions and more info. Antique Car Show---third Sat. of June yearly 450-827-2748 Our farm is open year round by reservation and September and October for u-pick etc. Specializing in preschool groups as well as clubs of 50+ etc. for farm tours and buffets. Book your group for the Apple Blossom Turkey Supper in May or your company picnic in June or July. We aim to please and love sharing our heritage farm----Give us a call!! Payment: Cash, only. We're a Mom and Pop run family farm which we dearly love and enjoy sharing it with others. Everyone's welcome. You Choose and We cut varieties: Balsam Fir, Red Pine, and other varieties (call! ).